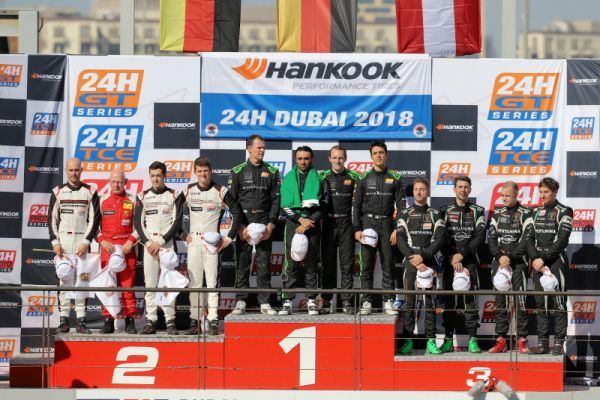 The Black Falcon Mercedes-AMG GT3 (#2, Abdulaziz Al Faisal / Hubert Haupt / Yelmer Buurman / Gabriele Piana) has won the 2018 Hankook 24H DUBAI, the 13th running of the annual event that, at one point, had looked likely to be won by the sister #3 entry. The overall 24H GT and A6-Pro leaders finished just two laps ahead of the Manthey Racing Porsche 991 GT3 R (#12, Otto Klohs / Lars Kern / Mathieu Jaminet / Sven Müller), which replicated the runners-up spot it achieved at the same event 12 months earlier. Incredibly, the GRT Grasser Racing Team Lamborghini Huracán GT3 (#964, Mark Ineichen / Rolf Ineichen / Christian Engelhart / Mirko Bortolotti) finished just five seconds further back, completing the overall top three and A6-Pro podium in the process. 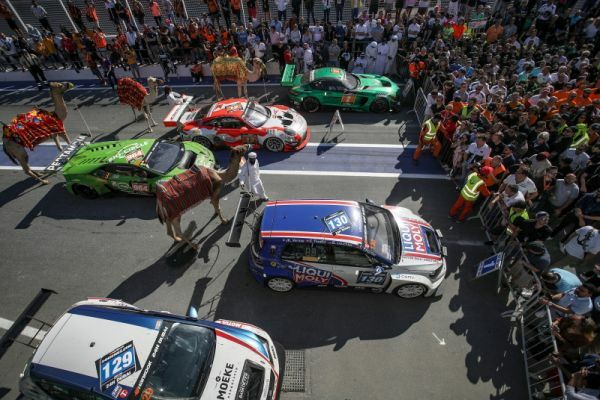 The Lamborghini had qualified on the 24H GT pole position, but would fall to the back of the pack in the opening stages thanks to three successive punctures. The SPS automotive performance Mercedes-AMG GT3 (#16, Valentin Pierburg / Tim Müller / Lance-David Arnold / Dominik Baumann) was the fastest A6-Am runner in 4th place overall, finishing just one lap ahead of the V8 Racing Chevrolet Corvette C6-ZR1 (#18, Luc Braams / Duncan Huisman / Alex van t'Hoff / Rick Abresch / Finlay Hutchison). The HTP Motorsport Mercedes-AMG GT3 (#25, Alexander Hrachowina / Indy Dontje / Bernd Schneider / Martin Konrad / Brice Bosi) had led the class until its fuel cap worked itself loose, coinciding with gearbox problems, but recovered to complete the A6-Am podium. Reigning Champions of the Continents Herberth Motorsport (#911, Daniel Allemann / Ralf Bohn / Robert Renauer / Alfred Renauer / Dennis Olsen) could do no better than 4th in-class thanks to power steering failure at an event the #911 Porsche 991 GT3 R won outright last year with Formula 1 Toro Rosso driver Brendon Hartley at the wheel. After several years away from the 24H SERIES powered by Hankook, Tsunami R.T. (#37, Andrii Kruglyk / Come Ledogar / Oleksandr Gaidai / Alessio Rovera) made a successful return to the series with its Porsche 991 Cup MR II, pulling a 21-lap gap over the MRS GT-Racing Porsche 991-II (#89, Helmut Rödig / Georg Bernsteiner / Altfrid Heger / Christopher Zöchling) in the process to take SPX category honours. Further back, the category pole sitting Leipert Motorsport Lamborghini Huracán Super Trofeo (#10, Oliver Webb / Lim Keong Wee / Melvin Moh / Aleksander Schjerpen / Tadas Volbikas) secured the final spot on the category podium, just ahead of last year’s class winner’s GDL Racing Team Middle East. The first ever endurance race for the McLaren 570S GT4 would come to an early end when the ALFAB Racing entry (#241, Erik Behrens / Daniel Ros / Fredrik Ros / Anders Lewin) would retire with turbocharger failure. 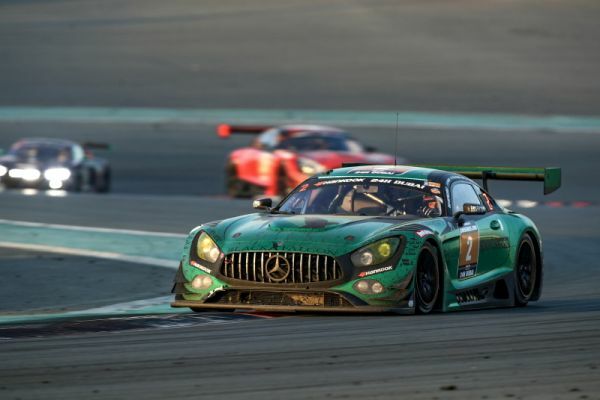 The most high profile retirements of the 24H SERIES powered by Hankook season opener, however, involved a collision between the Black Falcon Mercedes-AMG GT3 (#3, Khaled Al Qubaisi / Jeroen Bleekemolen / Luca Stolz / Manuel Metzger) and the Mercedes of reigning Teams’ and A6 champions Hofor-Racing ) (#1, Michael Kroll / Chantal Kroll / Roland Eggimann / Kenneth Heyer / Christiaan Frankenhout). The Black Falcon Mercedes had led 198 laps until that point and looked set for victory but a collision under braking meant both would retire on the spot.